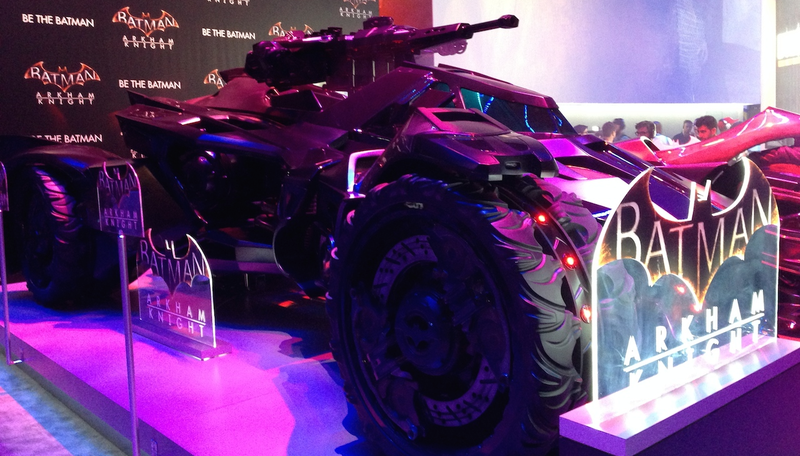 Video game companies tend to bring some sort of big, exciting prop to E3 to attract show-goers to their booths. Sometimes that prop is a life-sized character from a game. Sometimes it's an expensive sports car. Sometimes it's the Batmobile. This year, Warner Bros has set up a very impressive, very intimidating Batmobile outside of their booth to promote Batman: Arkham Knight. I believe it's converted into the tank-like battle-mode that we saw in a super-impressive new demo video from last night.